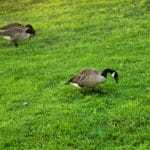 The 5 Mid-Atlantic Lawn Care Resolutions You Must Keep! HAPPY 2013 NEW YEAR! 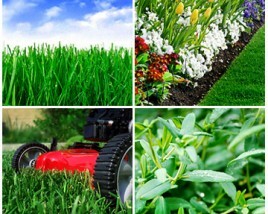 First and foremost happy new year from your number local lawn care provider—Green Lawn Fertilizing. We are so grateful for our customers and are looking forward to our 2013 season! We’re looking forward to a big 2013 season and the smiles on our customer’s faces when they see their custom green lawn come spring! It’s that time a year when everyone is reflecting on their 2013 new year resolutions. Only seventeen days deep, some of you have broken those resolutions – but that’s okay because here at Green Lawn Fertilizing we’ve put together a Mid-Atlantic top 5 Lawn Care Resolution list for you to make up for it! 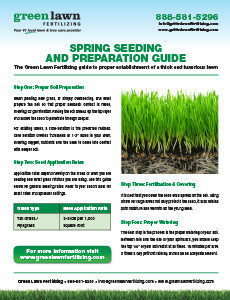 Early Spring Fertilizing: Early spring is the best time to take care of many types of weeds that occur in a homeowner’s lawn. In fact, there are some that you can wipe out before they get a chance to start, others you can catch at the peak of their growth. Effective Watering Tips: Every plant on earth needs a certain amount of water to keep it healthy and thriving. 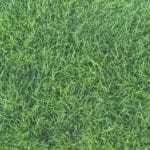 Turf grass requires more water than trees, shrubs and other plants because its roots are shallower than these larger plants. The larger the plant, the deeper its roots can go for water during hot months. 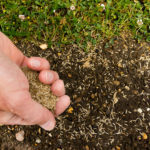 Typically grass roots remain in the top 6” of soil where evaporation occurs making it important to get the proper amounts of water into your soil at the correct times. Don’t Hesitate on Needed Grub Control: If your lawn is infested, your lawn can be destroyed very quickly and will not recover on its own. Extensive seeding will be needed to fill in the bare patches left behind and most likely these grubs will return as beetles and lay their eggs continuing the cycle for the next season until stopped permanently. There is really only one way to ensure that your lawn will not suffer extensive damage and that is prevention. Green Lawn offers a grub control preventative for our customers that must be applied properly before beetles return to your lawn to lay their eggs. 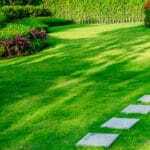 Improve your Green Space: Small changes make a big difference, especially when it comes to your property. No matter what time of the season, each and every homeowner can enjoy the environmental benefits that come from proper care of their green living space. Fall green lawn care: As your lawn prepares itself for winter hibernation, the care you give it before its dormancy is integral to gaining a healthy, green lawn, full of vigor and color next spring. If done correctly, proper fall lawn care will pay dividends when it reawakens in the spring time. 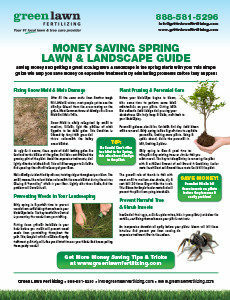 If you focus on these five green lawn care 2013 resolutions, you will increase your probability of attaining a luscious green lawn this 2013 season! Receive 25% off your grub control application. For new programs only.